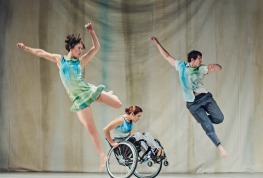 Have a look at some of the previous workshops that have taken place at the DanceHouse. 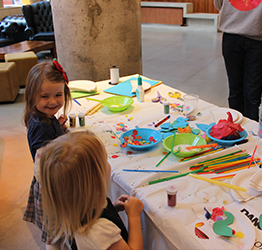 Come join us for dance inspired arts and crafts activity at the Jerwood DanceHouse. 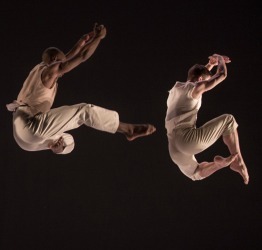 Find out more about Russell Maliphant Company, DanceEast's Company in Residence. At this Humanhood workshop you will experience the foundation techniques of the company alongside the philosophical roots. 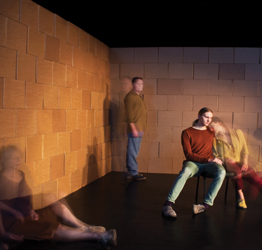 Explore Russell Maliphant Company's new work, Silent Lines. 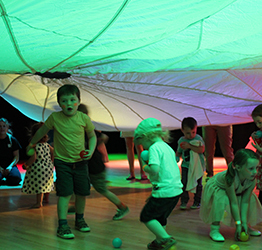 Join us for our Family Funday in the Jerwood DanceHouse. 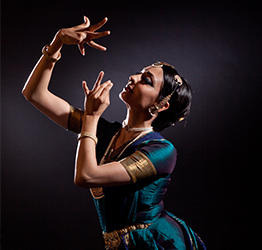 Seeta Patel will deliver an intermediate level Bharatanatyam workshop in the lead up to presenting her new work Rite of Spring. If you are an emerging artist graduating this academic year or reaching the end of your training, Grad Lab will continue your development through high-quality workshops. Tickets £5 – This will include lunch and refreshments. This day will be all about new beginnings, cleansing body and mind, and setting new intentions for the season ahead. 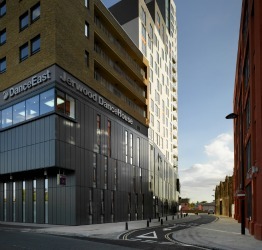 Come along to the Boys Taster Workshop to find out more about the DanceEast Centre for Advanced Training (CAT). Come along to the Norwich Taster Workshop to find out more about the DanceEast Centre for Advanced Training (CAT). Come along to the Ipswich Taster Workshop to find out more about the DanceEast Centre for Advanced Training (CAT). Come along to the Colchester Taster Workshop to find out more about the DanceEast Centre for Advanced Training (CAT). 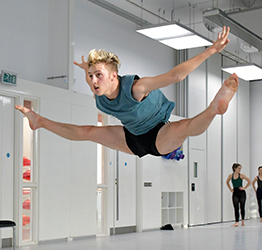 The Open day will give prospective students and their parents the opportunity to see the DanceEast CAT in action. Come along to the Cambridge Taster Workshop to find out more about the DanceEast Centre for Advanced Training (CAT). If you have little dance experience, we hold a free pre-audition workshop with the aim of dispelling any worries that you may have. 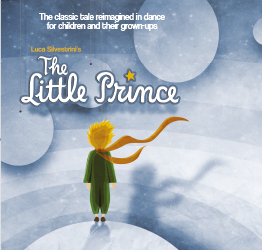 Ahead of Protein’s performance of The Little Prince, join artists from the company for a fun exploration of the much-loved story using movement, storytelling and props. A fun, physical and fast paced workshop based on The Storm. 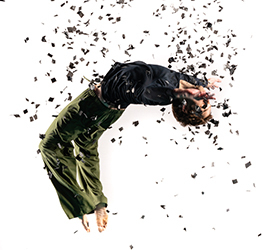 You will learn extracts of the martial arts and break dance inspired contemporary work, as well as creating your own material. GCSE Workshop Days for school years 10 & 11. Join us at the Jerwood DanceHouse for our Diwali festival of lights disco and craft activities! GCSE Workshop Day for school years 10 & 11. 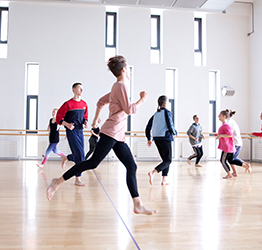 Central School of Ballet‘s Dance Day is an opportunity for young dancers aged 12 - 16 years to learn more about life in full-time dance training. 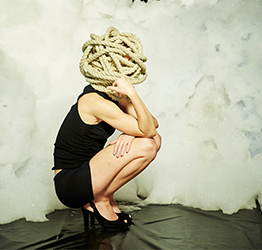 Delve into the Greek mythology of the snake-haired gorgon through Jasmin Vardimon’s epic new theatrical piece Medusa. 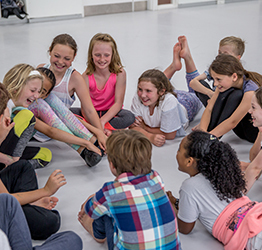 The Junior Summer School will be a fun-packed week of dance, building friendships, learning new skills as well as completing your Explore Level Arts Award. Book under Monday to secure a place for the whole week. Dance away your morning with us in an exciting disco (at a baby friendly volume, of course). If you are an emerging artist graduating this academic year or reaching the end of your training, Summer Lab will continue your development through high-quality workshops. 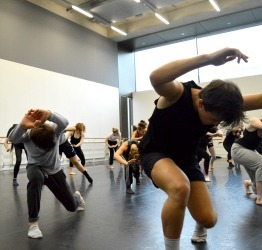 The Senior Summer School will be nonstop dance and creativity, making new connections, learning new skills and gaining your Bronze Level Arts Award. 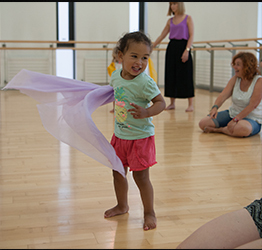 In this brand-new mini Summer School, the children will start each morning experiencing different dance styles. 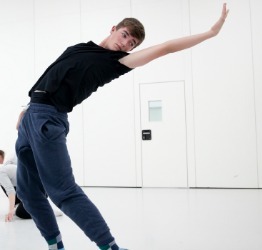 If you want to find out more about National Youth Dance Company (NYDC) and how to become a company member then book your place on this free workshop. 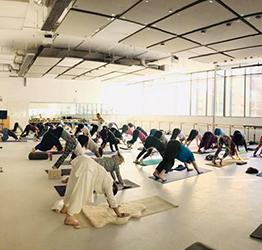 Joseph Toonga’s fast paced and physically challenging class will look at tension within the body alongside isolation and intention with movements. Enjoy a day of activity for the whole family. 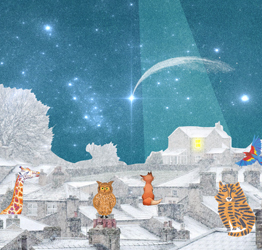 The foyer will be alive with arts and crafts pre- and post-performance, including sock-dragon and moon mobile making. Stopgap is holding a workshop for prospective candidates for Sg2, the company’s three-year training programme. 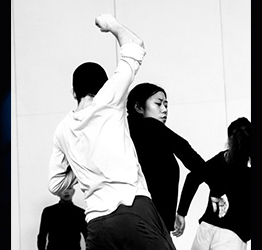 Sg2 aims to support, develop and prepare emerging talent for contemporary dance career. 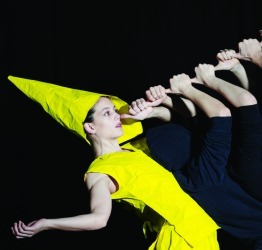 Join Tilted Productions for a unique dance and physical theatre workshop. You’ll be guided through playful, creative explorations in this workshop, based on the company’s new work. Sally Marie will be talking and inviting discussion on women’s experiences of relationships across the last 300 years. 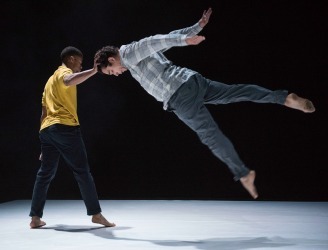 Attend DanceEast and Scottish Dance Theatre's focus group after Friday’s performance, and share your thoughts about the company's Double Bill of Dreamers by Anton Lachky and TuTuMucky by Botis Seva. 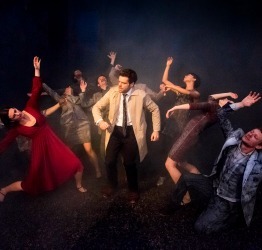 Come along post-show on Friday 20 October, and enjoy a complimentary glass of wine while providing valuable, in-depth feedback for the company. 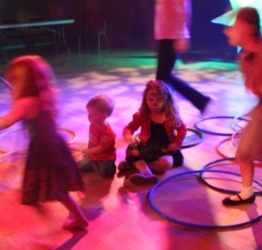 Get your arts & crafts hats and dancing shoes on for a fun-filled morning at the DanceHouse - with a disco at a baby friendly volume and arts & crafts activities for all the family to enjoy. This a great opportunity to work with professional companies from the AQA GCSE Dance Anthology: StopGap and James Cousins. Students will attend two workshops and have the chance to learn from industry professional and ask questions ahead of their GCSE exams. Please note this is for school groups only. 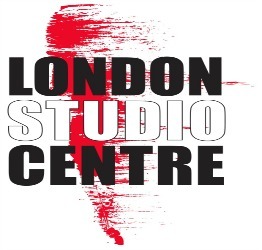 London Studio Centre, in partnership with DanceEast, is offering the opportunity to gain experience in the dance technique classes that make up the primary audition of the LSC application process; ballet, contemporary dance and jazz dance. Each class will incorporate specific feedback on the criteria the panel will be looking for ineach technique class of the audition. Avant Garde Dance offers participants a fascinating insight into the company’s practice and choreography. 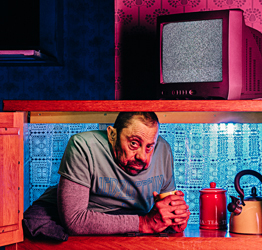 Artists from the company will lead repertory sessions focusing on their current production, Fagin’s Twist. This workshop is suitable for 11 – 16 years with some dance experience. 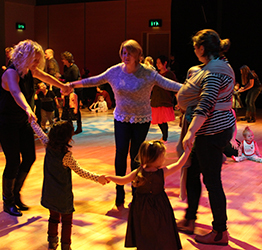 Get your dancing shoes and arts & craft hats on for a fun-filled morning at the DanceHouse! As well as a baby-friendly volume disco, craft activities include pumpkin decorating, making cress-heads and wheat dollies, plus storytelling, face-painting and more – all with a Harvest theme! 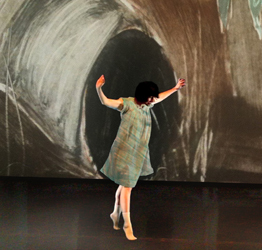 Explore the story of The Borrowers through movement, design and music. No prior experience or special clothing required. Perfect for children aged 7 - 11 years. 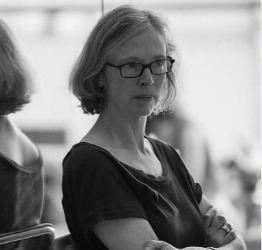 Connect with award-winning National Dance Company Wales’ Artistic Director, Caroline Finn, in this special workshop which will focus on a warm-up and contemporary technique work, followed by the chance to learn an excerpt of Caroline’s distinctive work Folk which will be performed at DanceEast. Are your students in years 10–13, with an interest in a career in the arts? 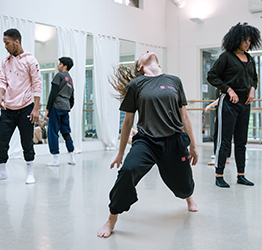 DanceEast opens its doors for an inspiring introduction to a wide range of careers in the creative industries, ‘have a go’ hands-on workshops, and the latest information and advice direct from industry professionals. Through practical sessions facilitated by expert venue staff, students will gain a unique insight into working in the creative industries; one of the UK’s only growth industries and worth almost £10m an hour to the economy. 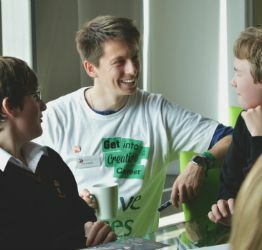 Aimed at young artists graduating or reaching the end of their training, this Summer Lab is led in partnership with UNIT. 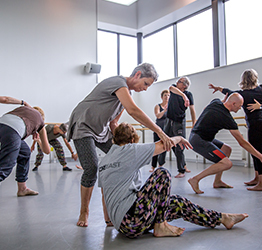 This is an exciting opportunity for people aged 50yrs+ with any level of dance experience to work intensively with professional dance artists over two days. 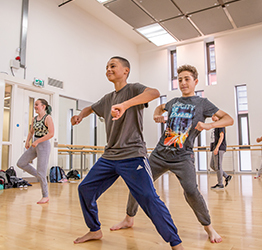 Summer Schools are an opportunity for people to take part in intensive dance activity during the summer holiday. 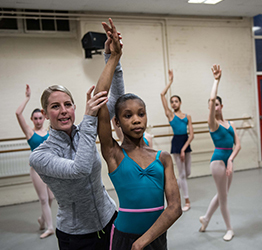 With classes taught by our professional tutors in conjunction with guest teacher, each Summer School offers the chance for participants to experience a range of dance styles and work creatively with others. Recommended for those aged 10-19 years who are working towards or in vocational training, working at an Intermediate – Advanced 2 or the equivalent. Recommended for those aged 10-19 years who have had some Ballet experience and are in Grade 3 + or the equivalent. A playful and fun workshop for young people & their parents/guardians where participants can learn an excerpt from Cas Public's latest show with a dancer from the company. 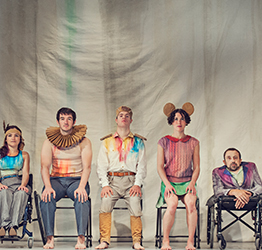 Based on themes from their latest production Witness, Company Chameleon's workshop will explore mental health through dance and introduce the company's distinctive movement language and style. 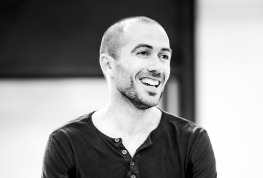 Participants will experience James' unique style through a workshop based on the company's latest production, Rosalind. 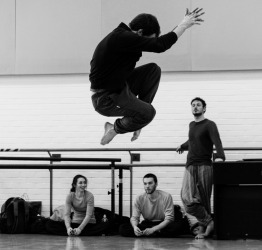 Led by James and a company dancer the session will include a contemporary warm-up, the opportunity to learn repertoire from Rosalind and a creative exploration of the work. 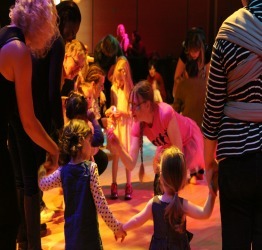 This day-long IADMS Regional Meeting is aimed at dance educators, private dance school teachers, community artists, parents and anyone involved in the dance teaching and learning of children and young people. This event is in partnership with One Dance UK and IADMS. If you do not wish for your booking details to be shared with these two organisations, please call our Box Office Team 01473 295230. 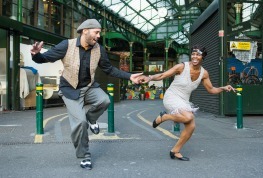 Learn some great social, partner and solo dance skills in this two hour Lindy Hop workshop with one of the most experienced Jazz and Lindy Hop dancers in the UK; Grounded Movement's Temujin Gill. 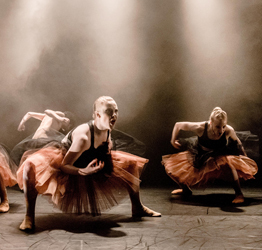 DanceEast is looking for 15 dancers aged 16-21yrs to join Tavaziva live on stage at the Jerwood DanceHouse. 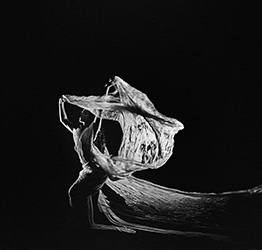 Inspired by Shobana's unique dance style and approach to choreography, participants will explore the world of Material Men redux. 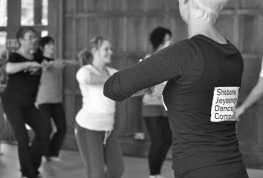 A fast-paced workshop which aims to improve stamina through precise and simple movement patterns. Participants will have the opportunity to work with a professional ballet company and explore the story and characters of Goldilocks & the Three Bears. 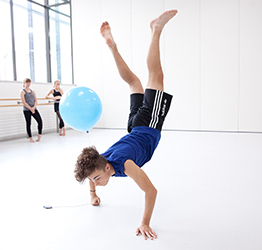 This GCSE Workshop Day is a great opportunity for dance students to work with two professional dance companies from the AQA GCSE Dance Anthology: StopGap and James Cousins. Tours of the Jerwood DanceHouse will be running throughout the Open Day on Sunday 30 April 2017. 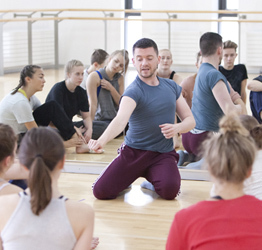 This popular one-day course designed to support dancers auditioning for places at vocational dance schools, conservatoires and universities is back! 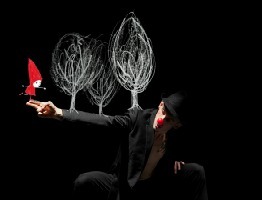 Delve into the magical story of Pinocchio through a fun movement and creative workshop. BABY LOVES TO BOOGIE CHRISTMAS DISCO! Get your dancing shoes on for a fun-filled day of Christmas activities especially for under 5's and their families. 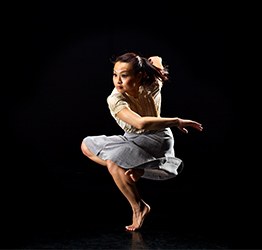 Join DanceEast Associate Artist Rosemary Lee on a two day artist retreat. 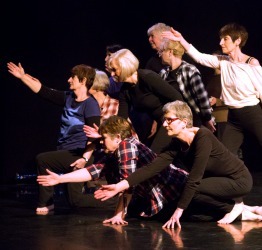 Especially for those aged 55yrs+, this workshop will be based on two hours of Alston's movement with experienced animateur and professional dancer, Meg Saunders. 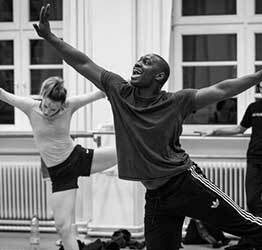 Participants will learn phrases from Wilton's new touring work Leviathan and also allow students to create their own choreography. This summer school for 12-18yrs is a fantastic opportunity for young people to work as a professional dance company, learn new skills and most importantly have fun! 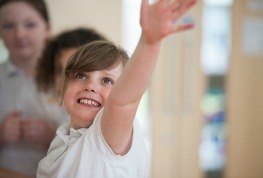 A fun-packed, energy-filled week of dance for 7-11year olds. 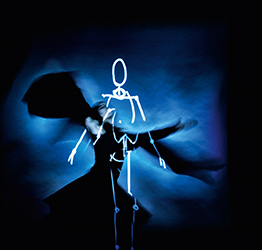 Free to The Adventures of The Little Ghost performance ticket holders, this workshop with enhance the audience's experience of the show. 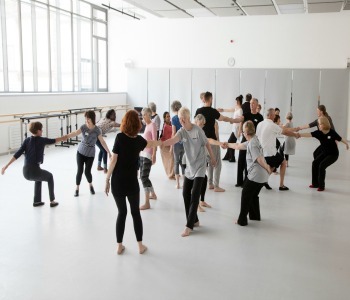 This event is for older dancers, as well as practitioners, leaders and choreographers, and those working with older people. 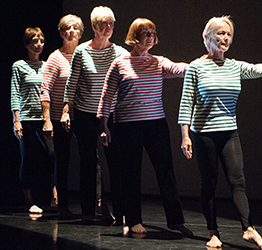 HOST is an event about shifting attitudes to older people in dance performance contexts. 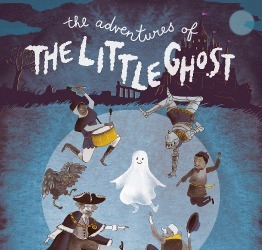 We are looking for dancers to perform in The Adventures of the Little Ghost! Inspired by the repertoire of The Royal Ballet led by Gary Avis, David Pickering and Helen Crawford. This three-day intensive provides a unique opportunity to delve into the world of Gecko. Come along and learn Akram Khan's stunning choreography and be part of the UK's biggest dance event. Practical session for dance teachers exploring the optimisation of efficient leg and hip mechanics, performance enhancement and rehabilitation from injury. Workshop & masterlcass led by industry professionals for just £20, and a free performance ticket to Encore Dance. Brought to you by MOKO Dance, this fun-packed creative dance workshop takes inspiration from the production of Vuelos by Aracaladanza. 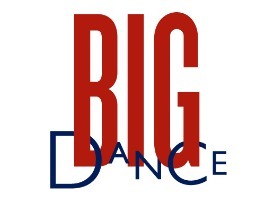 For more information please email alison.hartley@danceeast.co.uk, booking will open in April 2016. 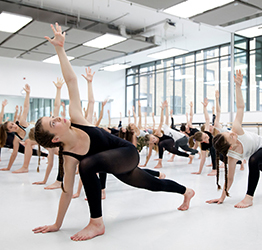 This NYDC Experience Workshop offers the opportunity to enjoy a workshop day which will be engaging, exciting and informative about dance and dance training with National Youth Dance Company.